In the early days of the “new” American Airlines, the company faced headwinds as it rebuilt its corporate culture. After a merger with US Airways in 2013, it knew it had to redefine its commitment to employees if it wanted to reach new heights in a competitive industry. For many who aren’t acclimatized to change management, a merger of this proportion could lead to a time of turbulence among its workforce and leaders. However, unlike most mergers – which focus only on integrating business operations – the American-USAir pact also prompted leaders to change their corporate mindset. Mitchell is American’s managing director of HR shared services, and under his leadership, the company has launched HR technology initiatives to support 130,000 team members in 60 countries. “It’s a very different culture than what either airline had before,” he said. 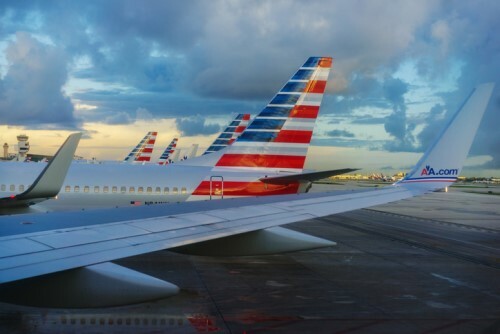 American Airlines is making a conscious effort to demonstrate “caring in everything that we do as leaders,” and to continue building employees and customers’ trust. Mitchell is a believer in the power of a positive employee experience. It’s that “people-driven culture that connects to every business outcome that we need,” he said. “When you have the right employee experience, it brings to life the customer experience that you want to deliver, the operational results, and then certainly the financial results,” he explained. The transformation at American isn’t complete, however, without the tools to drive change. At the core of the employee experience is a suite of tools that Mitchell and his team have been working on in the past couple of years. “We completed a two-and-a-half-year journey of bringing seven modules of SuccessFactors to life,” he said. In 2016, the digital journey began with SAP’s talent suite. “We knew that in order to have the American Airlines of the future, we had to have the right skill sets, the right people, and have a way to bring them into the American Airlines family,” said Mitchell. To date, the airline company has deployed a total of eight modules to cover the entire employee life cycle. “When we started our journey nearly three years ago, we did not have a quantifiable, tangible ROI that we could measure to say, ‘Let’s go build SuccessFactors and design this employee experience,’” he said. But what mattered to the management was investing in its culture.